Beginning in 2002, the guild began an annual "Design Challenge." These unique, fun challenges test our creativity and imagination! 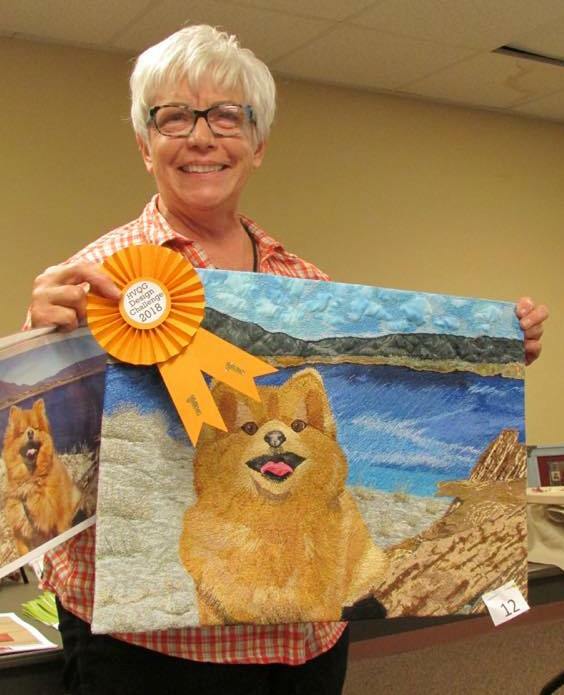 Here is a look at some past years' Design Challenge Quilt Shows. 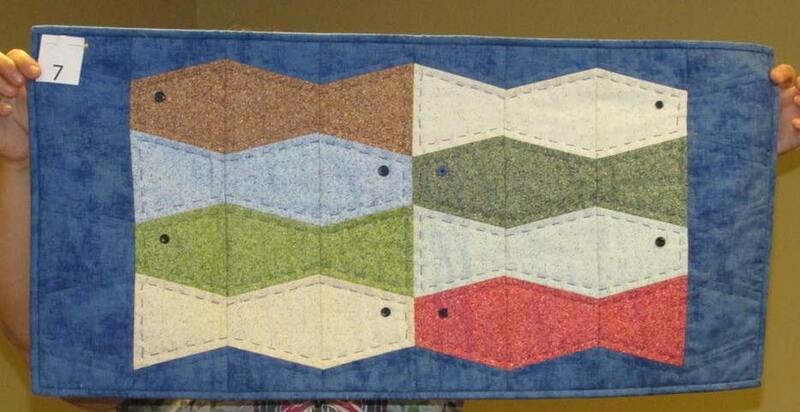 Each quilter made one basket block to trade with someone else. The challenge: Make at least three more baskets like the one received in the trade, then design your new quilt! This challenge began by designing a quilt based on the elements of nature: Earth, Wind, Fire, Water. "Everything I Need to Know, I Learned at Quilt Guild"
Quilters designed their quilts based on observations of quilt guild and what quilting means to them. 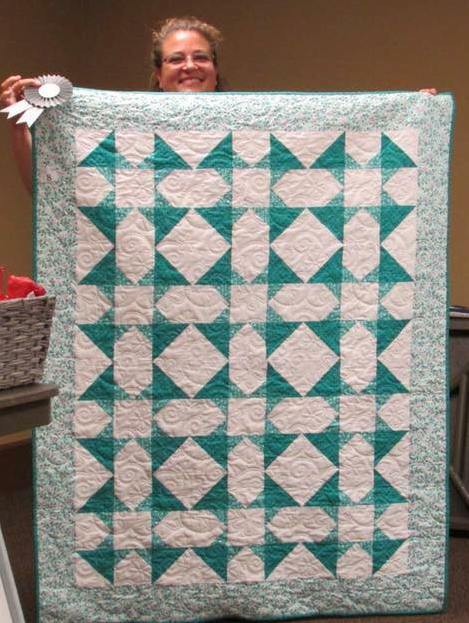 "Adventures in Color and Design"
Quilters were given the challenge of making a small quilt using blocks they had never tried and fabrics not normally found in their stash! 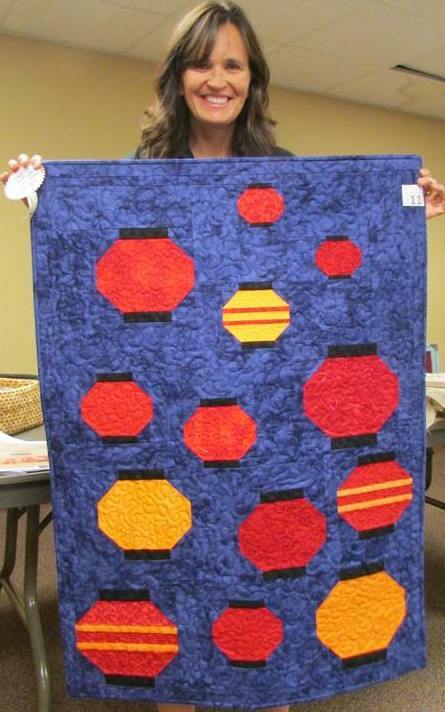 Design a quilt using a candy bar as your inspiration! "A Picnic in the Snow"
The Challenge: Design a quilt for someone else in the guild based on where they would like to go on a picnic. Design and make one block using Confetti-in-the-Corner and Flying Geese units. 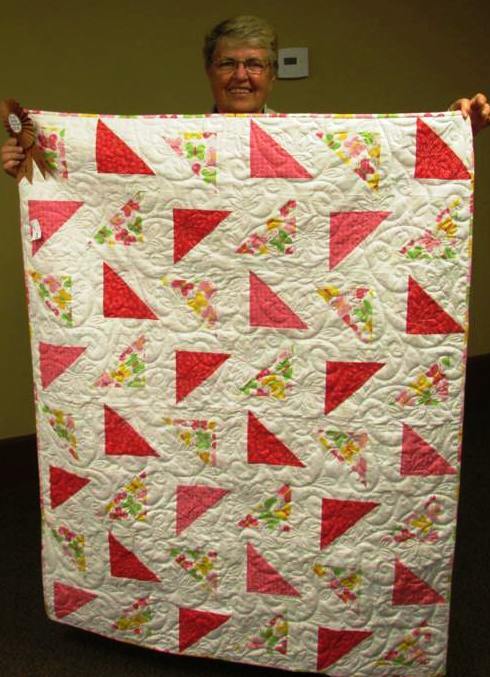 "Flying Confetti" quilt pieced by Julie McNaughtan.